A $550 deposit will reserve your seat with balance of $535 payable on the first day of retreat. CAMPING: PLEASE CHOOSE THIS OPTION IF YOU ARE CHOOSING TO STAY ON-SITE, EITHER IN A ROOM OR CAMPING. The price of this retreat is $1,085. A deposit of $550 is charged upon registration with the balance of $535 paid in person on the first of the retreat, during sign-in. You may also opt to pre-pay the balance by using the Make A General Donation button on the Donate page. This includes all meals and facilities. OFF-SITE: PLEASE CHOOSE THIS OPTION IF YOU ARE PROCURING YOUR OWN OFF-SITE LODGING. The price of this retreat is discounted to $935. A deposit of $385 is charged upon registration with the balance of $550 due on the first of the retreat, during sign-in. You may also opt to pre-pay the balance by using the Make A General Donation button on the Donate page. This includes all meals and facilities. Please go to our Resource page to see Crestone lodging options. Or you may find more options on AirBnB. The Crestone Mountain Zen Center invites you to contribute to their "Zero Carbon Campus" campaign at 3% of your cost of retreat = $32.55. This potent 7-day Silent Residential Retreat will be held at the Crestone Mountain Zen Center in Crestone, Colorado, USA. The Zen Center is located at 8,400 feet in the Sangre de Cristo Mountains, surrounded by piñon pine and juniper forest, a perfect setting for silent retreats. Check our resources page for more information about Crestone and accommodation options for early arrival. Accommodation is dormitory-style with 2-3 people sharing a room. You may choose to camp or procure off-site lodging. See pricing at the top of the page. Each day includes 6 periods of meditation in the Silence of the Zendo. 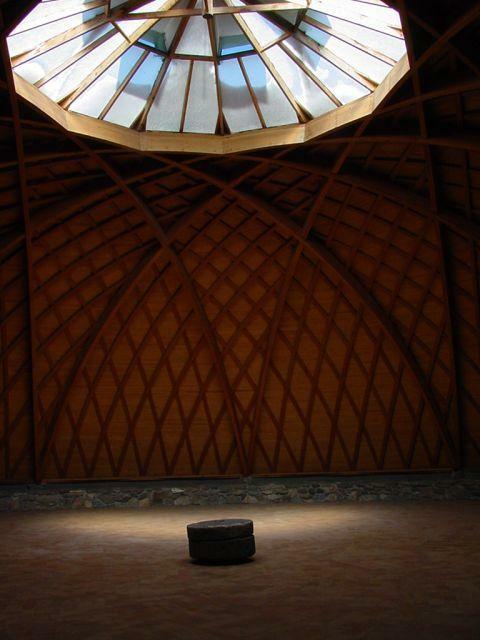 We gather in the dome for Guided Meditation and Satsang, as well as an opportunity for questions in an intimate and safe environment. The days begin at 7:00am and end at 9:30pm. One day will be a self-retreat day. You’ll be served three delicious vegetarian meals daily. Gluten free, lactose free and soy free options are available. Special diets are included in the total cost. 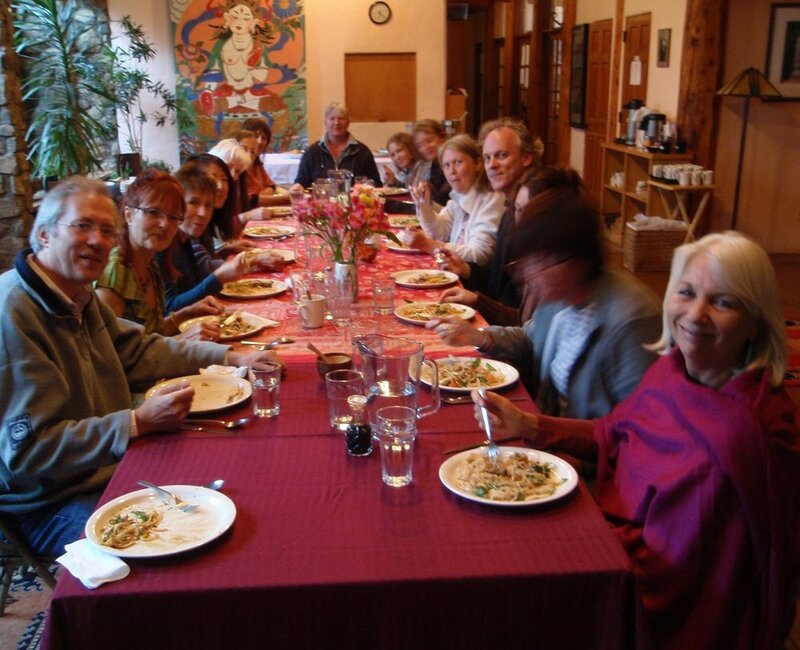 Check out the cuisine provided by Crestone Mountain Zen Center. Dana (donations) to Sharon are accepted with much gratitude. Dana, in the Buddhist tradition, is the practice of generosity. It is the movement to give without anticipation of anything in return and as such, is given from the heart. Your generosity is a gift that supports not only the teacher, but the Sangha and your own practice as well. You might say that it is the ultimate gift. In-person sign-in will be at 4pm on September 9. The retreat ends with lunch at 1pm on September 16. In preparation for this retreat, please watch: Jumping Into Dissolution Part I and Jumping Into Dissolution Part II. 31 days or more before the retreat there is a $50 cancellation fee. 30 days or less before the retreat: no refund available. The closest airport is Alamosa (ALS), which is one hour drive from Crestone. Denver airport (DIA) and Albuquerque airport (ABQ) are both about 4 1/2 hours drive from Crestone. If you wish to inquire about car-pooling or offer it, please contact Clear Light Sangha. Bus service from Denver is available to Moffat, CO, which is 12 miles from Crestone. For more information, check out our Resources page.